When it was announced that Peter Jackson and Steven Spielberg were going to be bringing the stories to life in a feature, it was a no brainer. One of my other favorite characters growing up was Indiana Jones, whose adventures, despite being inspired by the old Republic serials, had to be also inspired by Tintin’s adventures. ‘The Adventures of Tintin: Secret of the Unicorn’ is the first in a series of films being produced by Spielberg and Jackson. 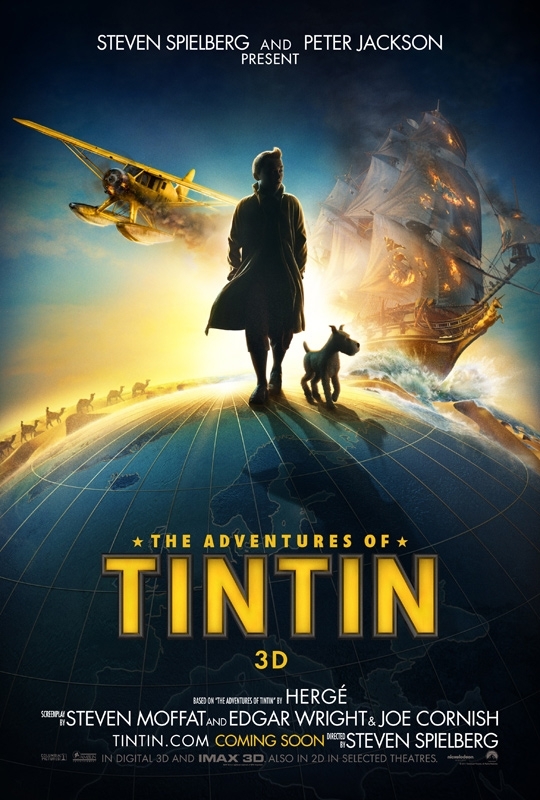 It stars Jamie Bell as Tintin, and Andy Serkis as Captain Haddock. The script really merges a few elements from the various books into one complete story. Tintin, a well known reporter, comes across a model ship at an outdoor flea market. Purchasing it from the vendor, he instantly is offered money by a mysterious American, who warns him of the trouble behind the ship, as well as by a man we come to know as Sakharine (Daniel Craig). When he takes the ship home, an accident causes the ship to fall, releasing from the ship a small scroll, that holds a strange paragraph. Tintin’s journalistic instincts take hold, as he investigates the interest in his model ship. The investigation eventually leads him to Captain Haddock, a mostly drunken Sea Captain whose family background ties into the secret of the Unicorn, and the two combine their efforts and become fast friends on their adventure. The film captures the spirit of the books completely. Even to the point where I completely forgot where the lines of the different books they combined were. Also great are the characters of Thompson and Thompson (played by Simon Pegg and Nick Frost), hopefully the next film features these characters more prominently. I’m not the biggest fan of motion capture, or 3D, but I thought the animation looked great. Not so realistic looking that it begged the question, “why do it this way,” and not so fake that it looked like a Veggietales film. One of my favorite parts of the film was a street artist in the opening scene sketching Tintin. The resulting portrait is literally a Tintin as drawn by Hergé. 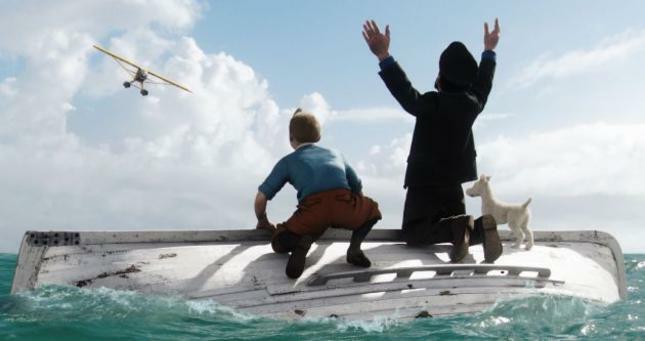 While many who aren’t familiar with Tintin might not enjoy the film, it is easily accessible to all ages. It’s a fun, unique family film, that for once, does the source material great justice. Great review! I had one copy of Tin Tin growing up and I read it over and over again. I thought the animation was unbelievable and the voice talents perfectly cast. The storyline fell right in line with a prototypical Tin Tin tale….maybe a little more fast paced…but still very true to the original spirit. I don’t remember Tin Tin getting in as many scuffles as he does in this movie but you need a little violent action to draw people in. I also thought Haddock’s character was spot on and they should be commended for his portrayal. Jackson is known to capture beloved characters from novels to perfection and this certainly continued that trend. I look forward to reading more reviews here!